Termini is an easy place to rest. Standard colour Terracotta complements the heritage interiors. 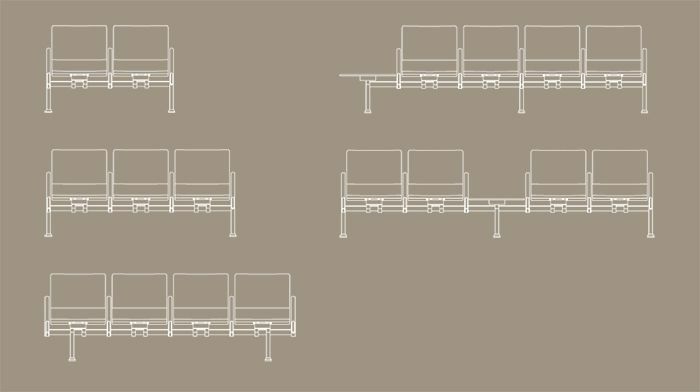 Specify configurations of 2, 3, or 4 seats, with the optional integrated low table. 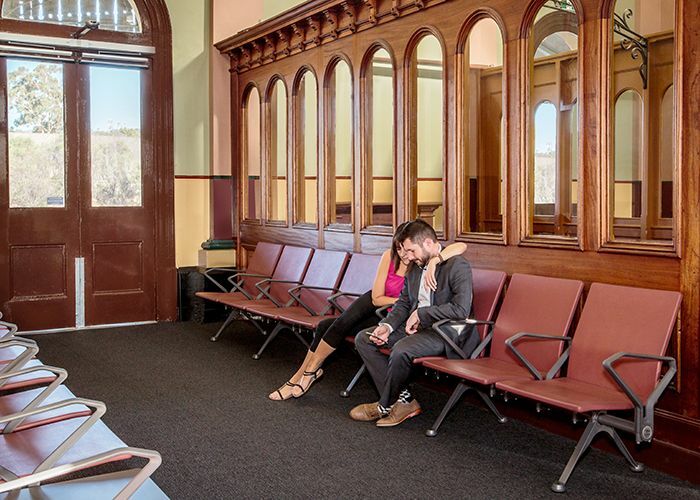 Sit with loved ones while waiting for the next train. 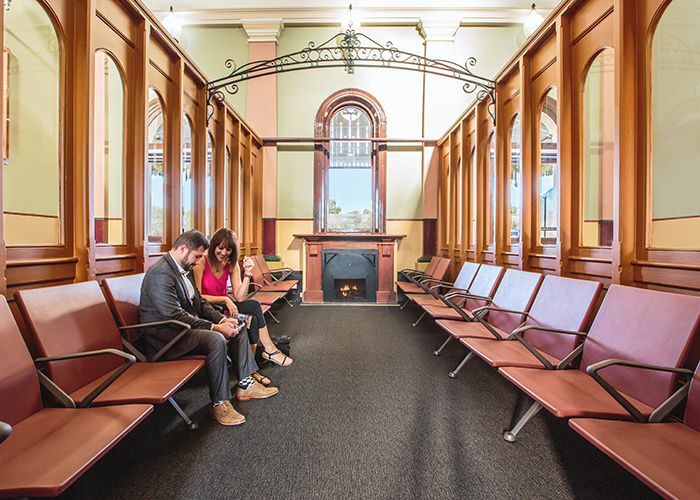 Albury Railway Station retains its country hospitality. 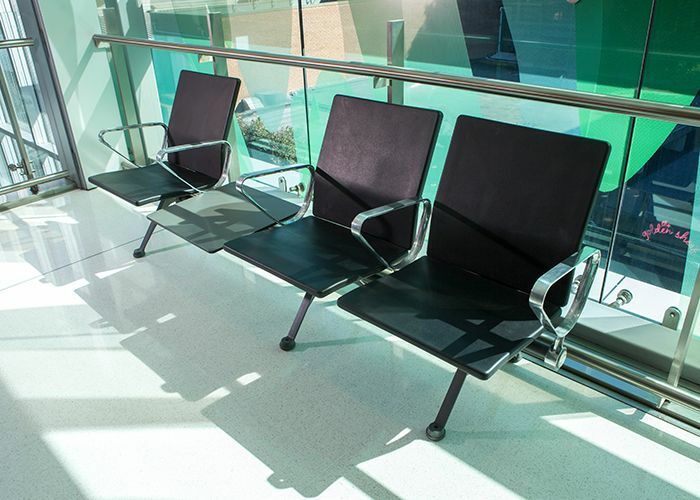 Termini's high armrests make it easy to sit and stand. 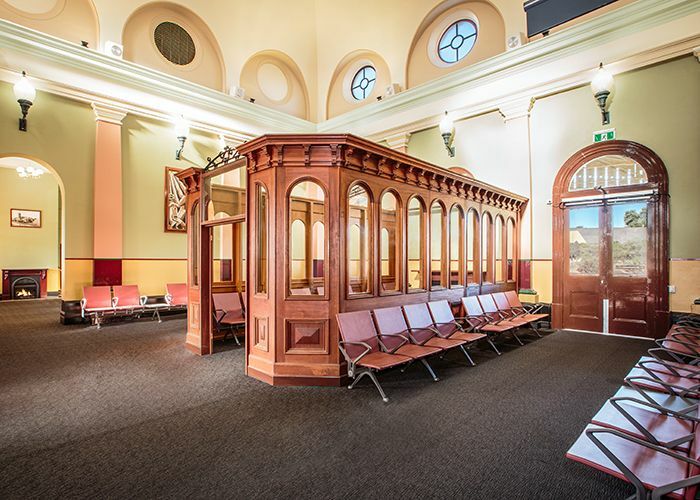 A loving heritage restoration sees this historic building furnished with brand new Termini Seats. 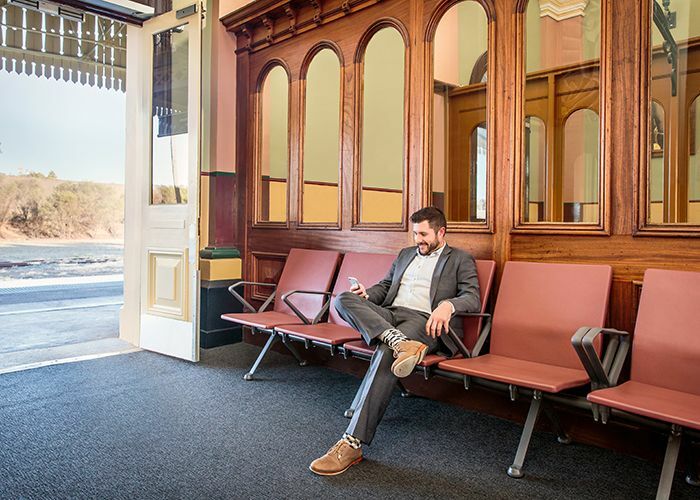 Albury Railway Station first opened in 1882, when it was seen as a turning point towards Australian Federation as it was the first large transit stop to be built on the border of Victoria and New South Wales. The two states still used different gauge train tracks, so the longest undercover platform in the southern hemisphere (at the time) was built at Albury, to allow passengers to transition between lines. The Australian National Heritage List reports, “The connection of the New South Wales and Victorian railway systems at Albury-Wodonga gave a dramatic boost to the cause of Federation. 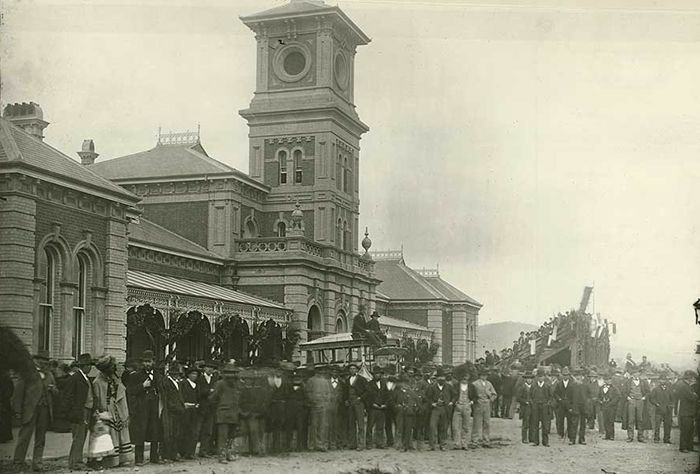 Opening of the Albury-Wodonga link in 1883. 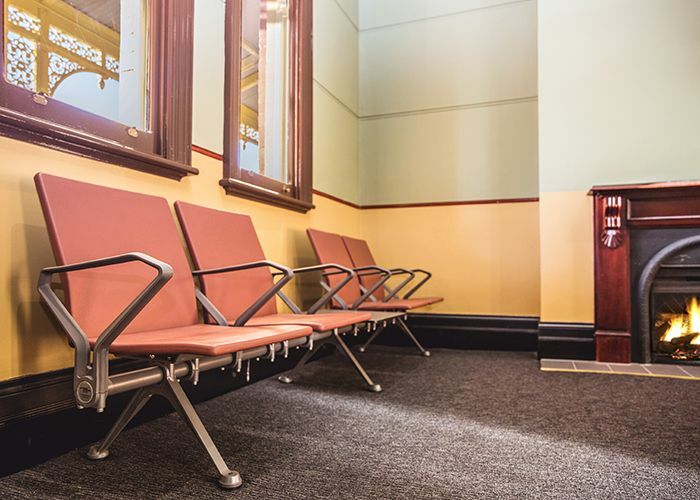 More than 130 years on, the grand, symmetrical Victorian Italianate building has undergone a refurbishment by Degnan Construction including clock tower cleaning, fresh paint and upgrades of lighting and seats. 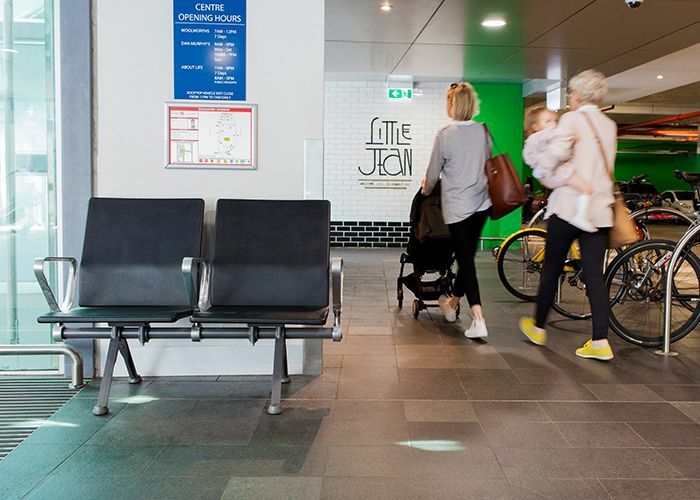 Street Furniture Australia’s Termini Seat was chosen to provide places to rest throughout the station’s indoor waiting areas. The polyurethane body in standard colour Terracotta complements the heritage colours. 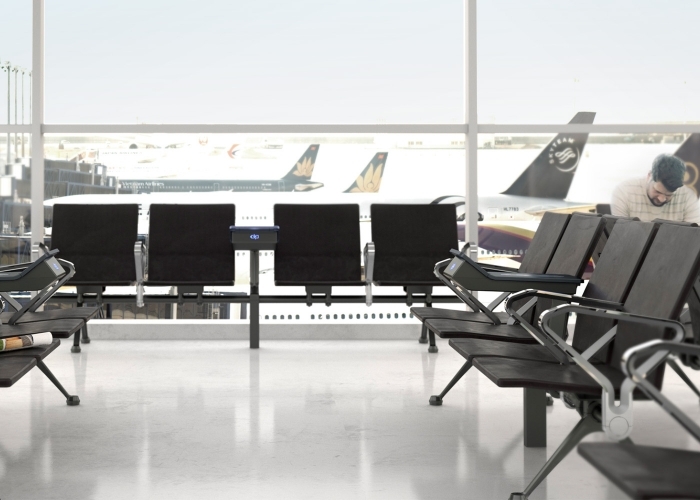 Termini’s generous back provides lumbar support, and high DDA armrests help older travellers sit and stand more easily. Sixteen three and four-seater Termini configurations were installed, some with wide, low tables for your bag, newspaper and coffee. The refresh also includes new accessible bathrooms, hearing loops and tactile indicators. 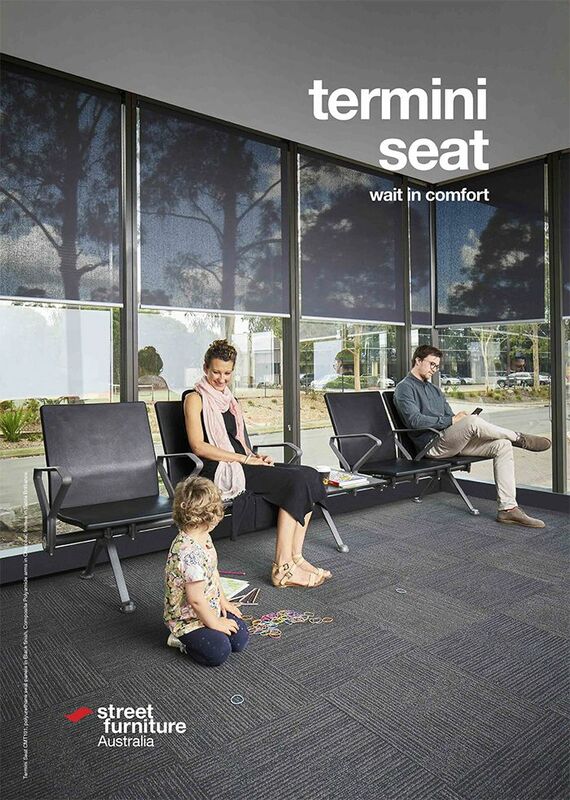 For more information, get the Termini Brochure or enquire now. A grand station with heritage buildings and interiors. 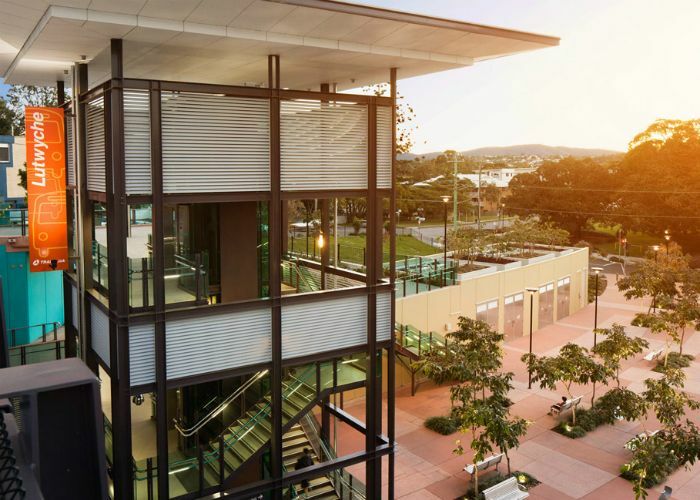 TransLink’s $444m Northern Busway project saw new stations connect Brisbane’s northern suburbs to Brisbane City, shopping centres and workplaces. 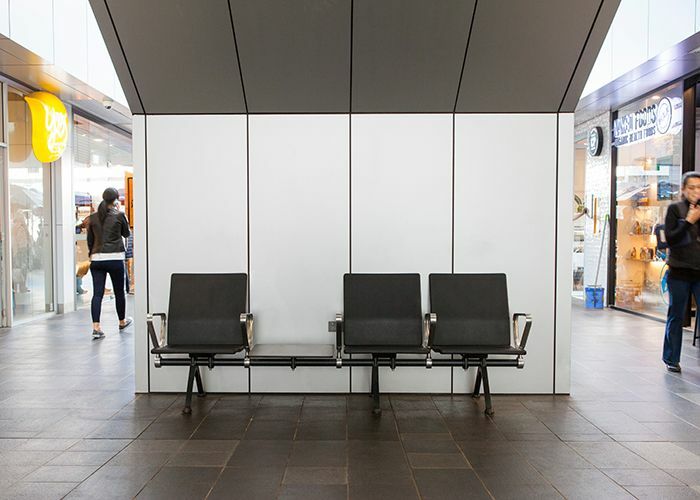 The Lutwyche Busway Station was designed by Cottee Parker Architects and completed in June 2012 by Thiess John Holland. In its first year TransLink says the network supported more than 9.7 million trips. 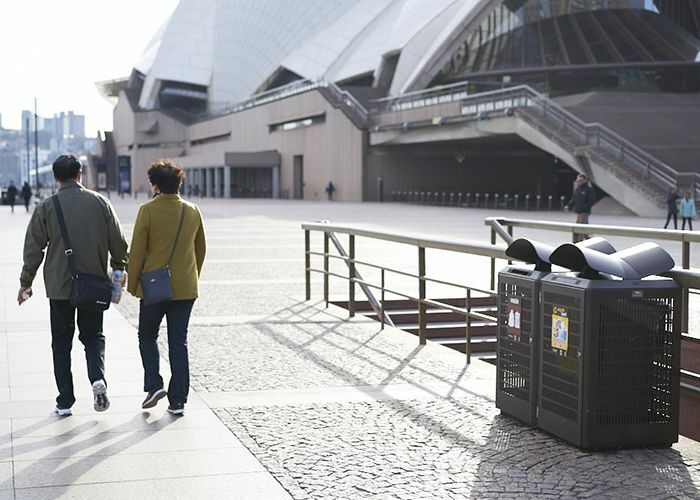 By 2016 the busway should cater for 47,000 public transport trips per day,“more than five times the current number,” says BrisConnections CEO Dr Ray Wilson. 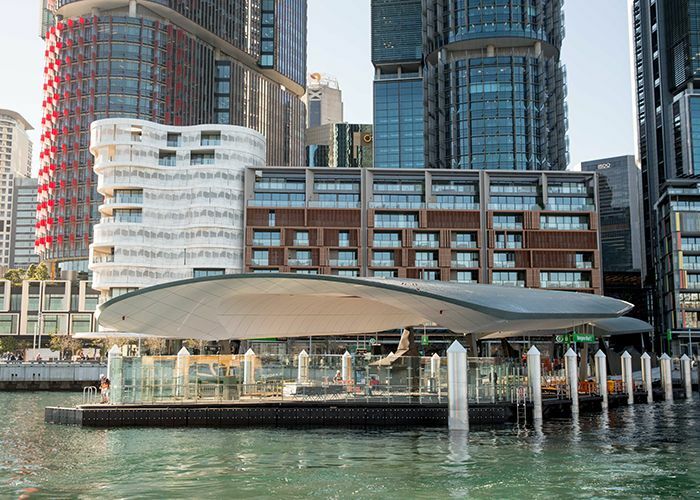 Cottee Parker Architects specified a suite of Street Furniture Australia products to furnish the new station. 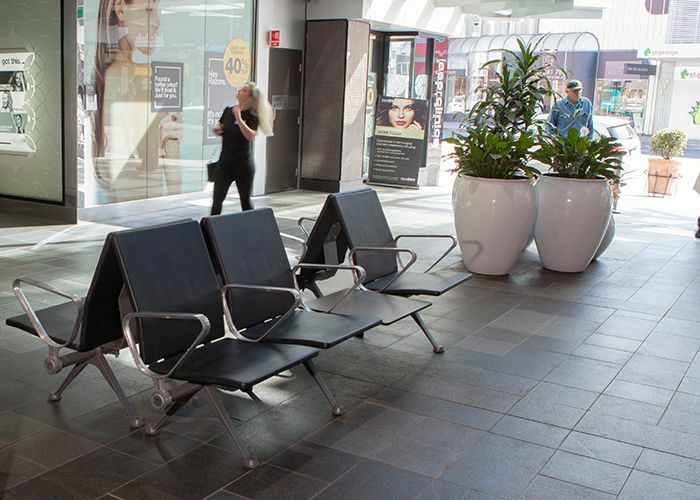 Classic Galleria benches and seats, in aluminium finish, feature in the bus terminals and outdoor areas, alongside Arqua drinking fountains, Wide bollards and Plato bins.